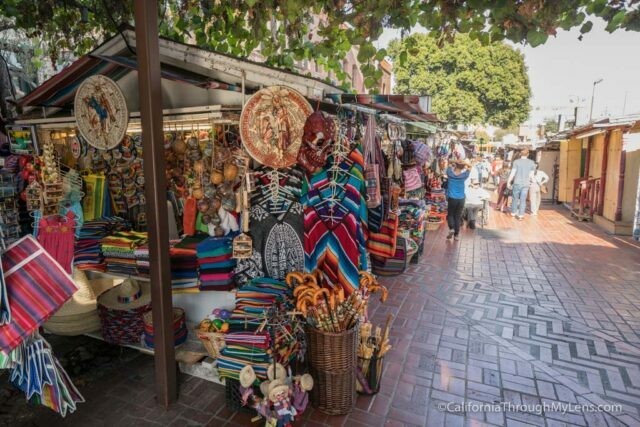 Olvera Street in Downtown LA is an awesome beacon of Mexican-American culture that is always lively and fun to explore. The entire area is called El Pueblo de Los Angeles Historical Monument, and it takes up multiple city blocks in Downtown Los Angeles. Since it is right across the street from Union Station, it is a great place to take the train to with your family if you are looking for a fun half-day adventure. 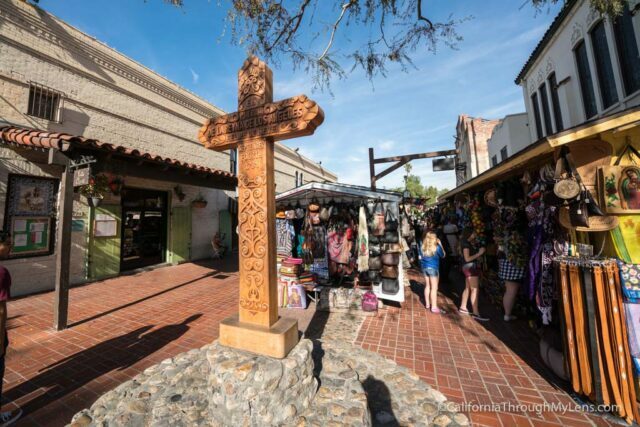 The best time of the year to be on Olvera St is during the Day of the Dead Festival, but even if you go during the rest of the year, there are still a bunch of fun places to explore. Here are my recommendations. I would recommend taking the train to Union Station as that is just a fun experience in general, but if you drive, there are a few small parking lots around the main square that you can often grab a spot at for around $10. 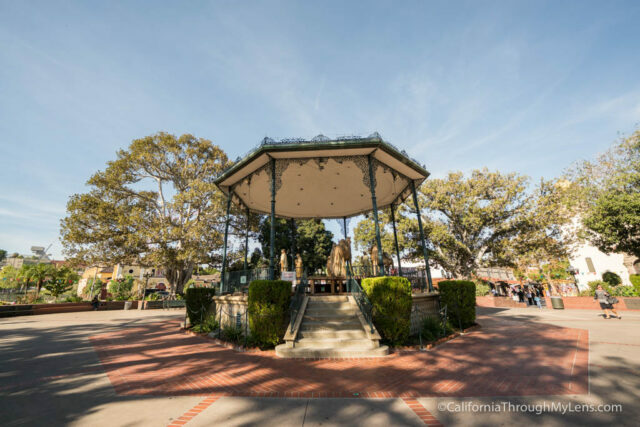 After parking, you will want to head to the main square, also known as Los Angeles Plaza Park. 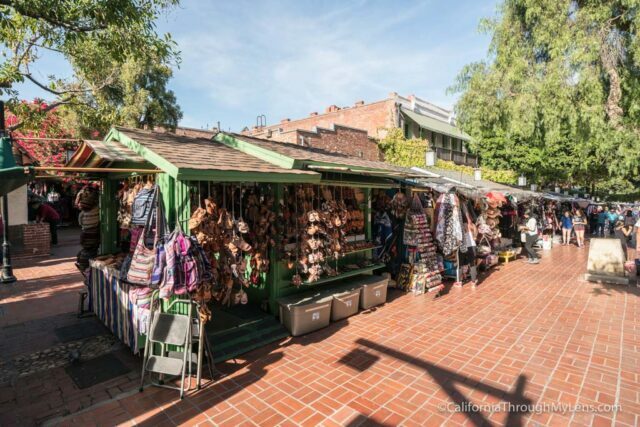 This is the center of Olvera St, and the central pavilion usually has events going on during most holidays. From here you can head to the left and explore the old fire station that has a bunch of old historic fire carts. 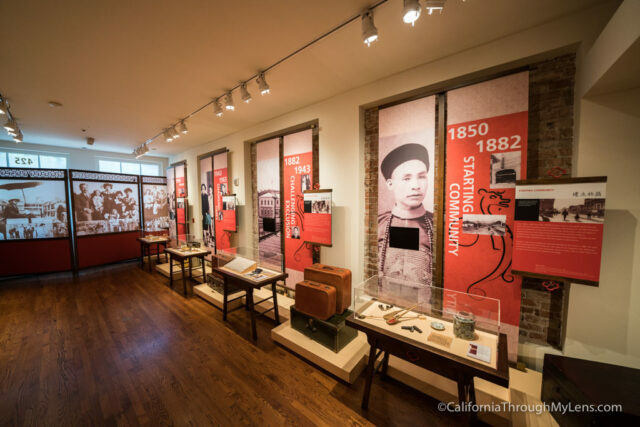 You can also follow the signs and walk down the street to the Chinese American Museum. 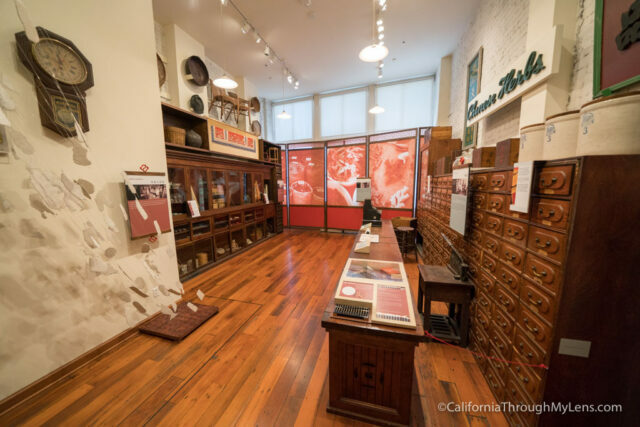 It is free to enter, and it has three stories of exhibits. I was impressed by how well done it was. 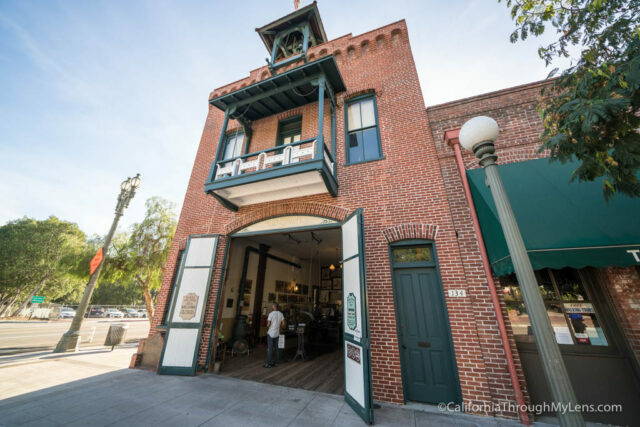 After checking out both of those spots, head back across the square and walk down Olvera St. 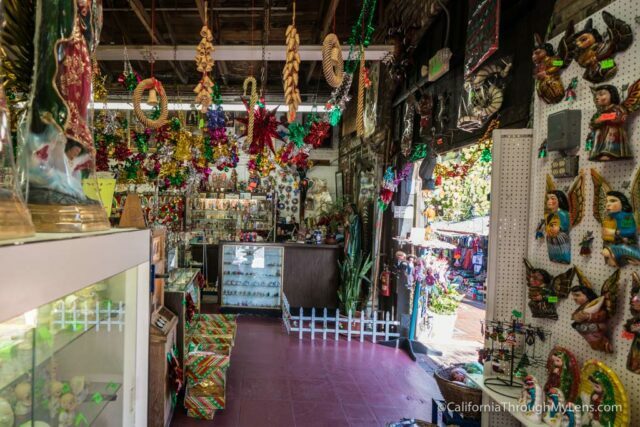 This is a pedestrian-only street that has two rows of shopping with all of the things you would expect to see in Tijuana like small guitars, day of the dead memorabilia, clothing, and ponchos. The items are generally well priced though so it is fun just to walk around and grab a few small things. 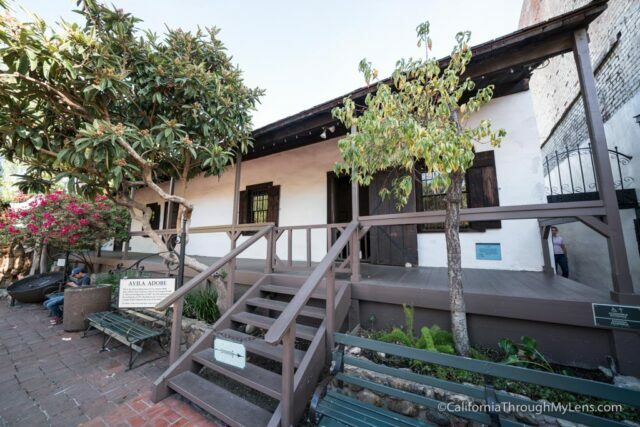 About halfway down the street, you can visit the Avila Adobe, which is the oldest building in Los Angeles. It is free to visit and only take 15-20 minutes to see. 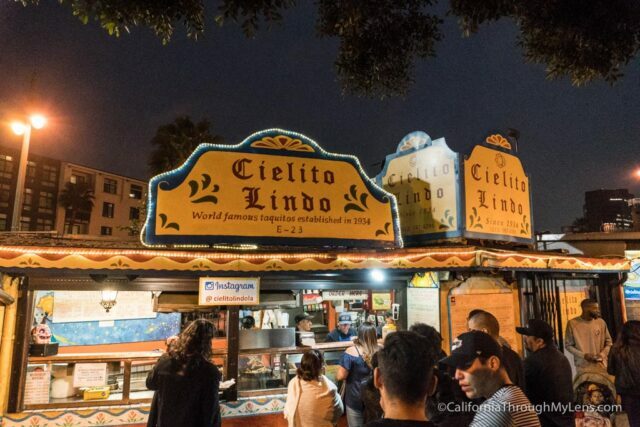 The last place I would recommend you stop by is Cielito Lindo which is on the right corner of Olvera St. There is always a line here but it moves fast, and you want to order the taquitos which are covered in the avocado salsa and which they have been making for over 70 years. If you are interested in the Day of the Dead festival, which happens over nine days in Oct/Nov, check out this video. 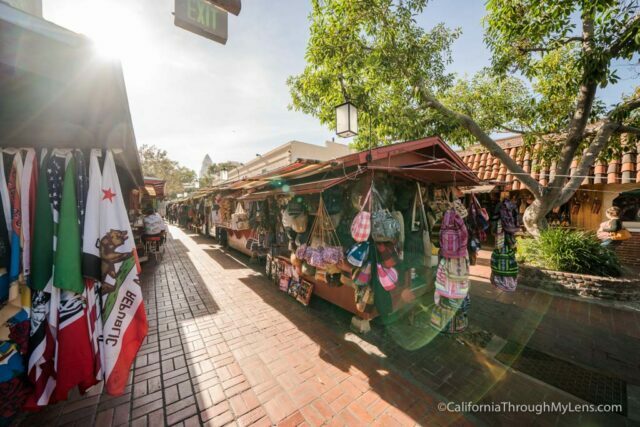 So there you have it, my favorite stops along Olvera St. What did I leave off? Be sure to let me know in the comments.